The Arc'teryx Beta SL Hybrid Jacket Women is a super lightweight GORE-TEX jacket, designed with materials that make it as packable as possible. Weighing just 280 grams, and designed specifically for women, the Arc'teryx Beta SL Hybrid Jacket Women still has the waterproof, windproof, and durability of GORE-TEX fabrics in a compact package intended for use as emergency protection for hiking, biking, or climbing. Arc'teryx have increased its durability so it's still strong, and also includes a helmet-compatible hood. 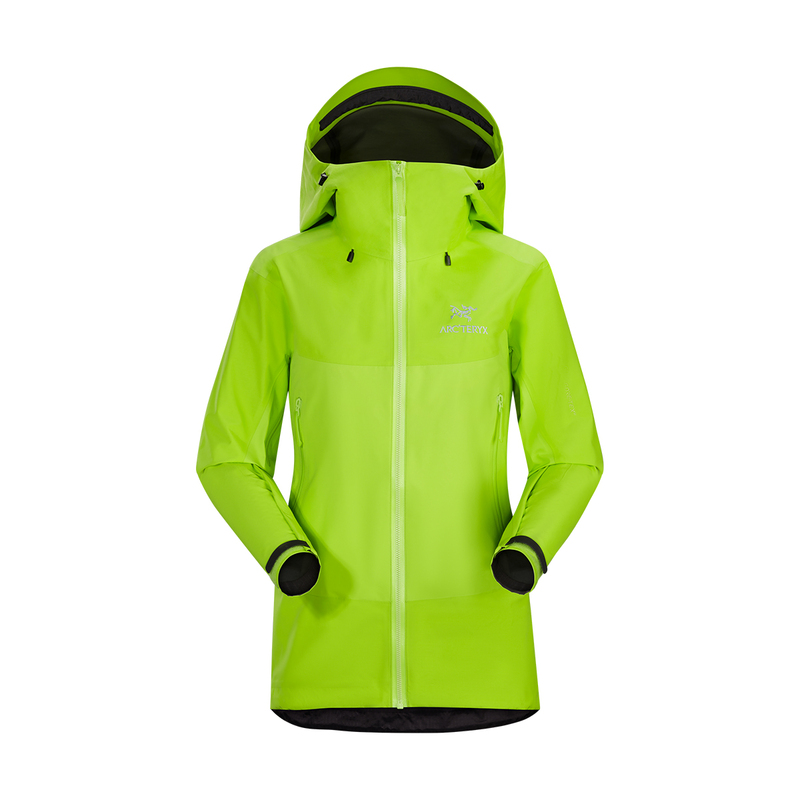 The Arc'teryx Beta SL Hybrid Jacket Women features GORE-TEX® PacLite® Technology. Extremely compressible and lightweight, this type of GORE-TEX allows the jacket to be stuffed into tight spaces and pack down much smaller, so as to fit into already overstuffed backpacks, or to simply save as much weight as possible on fast and light ascents. To add durability, the jacket includes a mini ripstop construction that adds tear resistance without increasing weight. Micro seam allowances and tiny GORE seam tape (13mm) along with the trim fit reduce weight whilst also increasing breathability. Carefully articulated patterning and gusseted underarms provide freedom of movement without adding bulk, and the low profile Stormhood™ offers complete coverage with a streamlined design. A true minimalist's hardshell, the Arc'teryx Beta SL Hybrid Jacket is intended for all-round mountain use, and provides high-performance in a lightweight, uncumbersome package that won't weigh you down. Durably waterproof, windproof, and breathable, PacLite® products are of an extremely lightweight, packable, and minimal construction, designed for any activity that requires space and weight saving in a jacket that can be compactly stuffed into bags and backpacks. To achieve this level of compressibility, a thin 2-layer fabric is used, and the outer shell of the material is covered by a protective layer made of an oleophobic (oil hating) substance and carbon that makes the jacket much more pliable. Special GORE-SEAM® tape technology also ensures that all seams are 100% waterproof.